The Permanent Secretary, Lagos State Ministry of Physical Planning and Urban Development, Mrs. Boladele Dapo-Thomas has revealed that the Committee in charge of implementation of the Kwara State Urban and Regional Planning Law was in Lagos to understudy the planning proficiency of the State, saying such interstate collaboration will engender the development of States and reduce rural-urban migration in Nigeria. Mrs. Dapo-Thomas, while playing host to members of the Committee who embarked on a study visit to the State, affirmed that “Lagosis endowed with a well-structured and articulated Urban and Regional Planning Law as well as a robust Master Plan upon which physical planning process and implementation is based”. She said that the Master Plan enables the State to achieve its vision of being safe, organised, business-friendly and livable for all. She stated that the laws are being reviewed regularly as Lagos State keeps evolving and emphasised the importance of citizens’ compliance with laid down procedures. 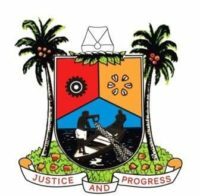 According to her, the importance attached to the need for planning by residents led to the free Planning Information Service initiative of the Lagos State Ministry of Physical Planning and Urban Development to ensure orderly development in the State. While noting that the State Government is willing to share its dynamic strategies with other States, Dapo-Thomas furnished the visitors with the various achievements as well as the oversight functions of the Ministry, giving critical analysis of how different agencies under the Ministry harmonise and cooperate with one other at ensuring that various physical planning and urban development plans are carried out to the letter. Responding, the leader of the Kwara Statedelegation, Arc. Tunji Ayodele, who is also the General Manager, Kwara Housing Corporation, said “We are humbled and grateful for the enlightenment given to us by Lagos State Government. The knowledge acquired has exceeded expectations and would be useful in the recommendations to the Kwara State Government”. He declared that the visit will also facilitate the Committee’s access to relevant and adequate information that will guide its operations in advising the leadership on the effective take-off of the law in Kwara State.